This week we explore the topic of businesses who serve other businesses. What’s different? Customers are customers aren’t they so, why do they call them clients rather than customers? How do they sell their services and products differently? Where do they market themselves? 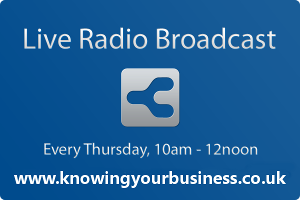 Knowing Your Business interview Jon Baker, Fiona Scott, Carie Lyndene. 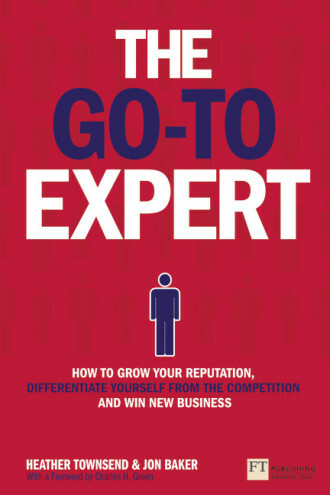 Jon Baker Co author of the Go To Expert talks with us at 10;10 am. Jon is known as The “5 to 50” business coach, speaker, and sales trainer helping professionals grow their firms from 5 to 50 employees, profitably, sustainably and while still having a life. Fun is important too for Jon – He’s Scuba Diving most weekends, somewhere between the Arctic Circle and New Zealand (normally in the UK). Enjoys hiking, recently completed the Inca Trail, now planning a trip to Everest base camp. He formed venture-Now in 2007 amalgamated it into The Excedia group with Heather Townsend in 2011. Having spent over 30 years in business and 25 of those, working with and being a student of, industry giants such as Dr. Chuck Spezzanno, Deepak Chopra, Jim Rohn, Dr.Wayne Dyer and Anthony Robbins, which has shaped not only her own personal development but has hugely influenced and grown her business skills. Fiona has been in the media business for more than two decades – newspapers, tv and a bit of radio. Also known as a journalist who does PR. Fiona started out in newspapers working in Somerset and Wiltshire and was, during that time, education, health, crime reporter finally ending up as business editor, running a small team. In that role, she had to produce, with her team, a page of editorial content each day, several features per week and a monthly business supplement. In the mid-1990s Fiona moved into television working for HTV in Bristol (nowITV West) working up from researcher to series producer working on current affairs, factual entertainment and on commissions for Teachers’ TV. Fiona had her own series and ideas commissioned. Some of the shows she produced included West Eye View (single subject documentary), The West This Week (political and current affairs discussion show), Out of Order (consumer show), The Bargain Hunters & Beat The Dealer (antiques and collectibles). Yes, she has worked with celebrities. After redundancy in 2009, Fiona started her own media consultancy working for SMEs, start-ups, schools, small charities and some corporate clients. Fiona also works in partnership with GD PR Ltd, based in Worcestershire. Fiona describes herself as a social media freak who regularly run workshops – with others – on how to make the best of the platforms available. Fiona also write regularly for the Gazette & Herald in Wiltshire, Swindon Advertiser and Wiltshire Life magazine. She is currently a director on BBC daytime show Flog It! and a guest producer director for ITV Wales on its current affairs series Wales This Week. Fiona also worked on the One Show, sourced stories for Red Nose Day 2011 and 2013 for Comic Relief..